Other experts say that the secret spinal cord "glue" is "too good to be true." The researchers severed the spinal cords of 15 rats. Nine then received the actual Gemini Protocol, while the remaining six served as controls. After the team severed the spinal cords, they applied adrenaline and a cooled saline to reduce bleeding. The rats treated with the experimental process received a polyethylene glycol (PEG) substance Canavero simply refers to as “glue,” which he says repairs and seals nerve cells in damaged spinal cords. The wounds were closed and the rats received antibiotics for three days. Fourteen of the 15 rats survived for a month following the operation. 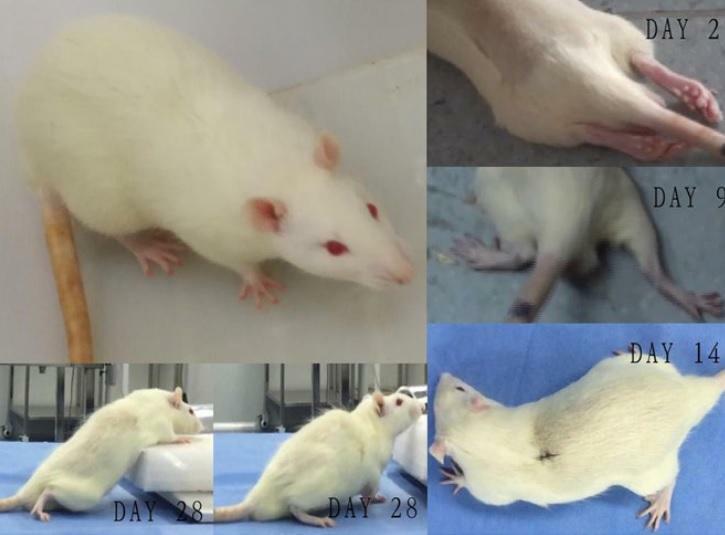 According to the researchers, the experimental rats treated with PEG mixture recovered motor function “steadily” and were about to walk again by day 28. In fact, two of them were “basically normal” by that time. However, most in the scientific community — joined by most in the gaming community for totally different reasons — are as highly skeptical about these alleged outcomes as they have been all along. Scientists are doubtful for several reasons. First, the team didn’t describe their methods well enough for other researchers to be sure about them. Case Western Reserve University Professor of Neurosciences Jerry Silver said in an interview with Newsweek that it’s not clear whether they severed only the dorsal spinal chord or the entire spinal chord. He also points out an overall lack of evidence: “they show no evidence for regeneration. There is no histology [the microscopic study of tissue structure], which is the only way to assess what is really going on here,” Silver added. Moreover, the characterization and scoring of motor function in the experimental rats is, according to Silver, unrealistic. The study reported that two of the treated animals recovered nearly normal locomotor skills (scoring of 19 and 20 points out of a possible 21 total) and that the treated rats had average a score of 12, which means that, on average, they could take multiple weight-bearing steps. Gamers are also skeptical because this appears to many to be a viral marketing scheme for Metal Gear Solid. The game’s creator and Canavero both deny this. The team is now moving on to experimentation on dogs — apparently horrifying many potential consumers is not a concern for them. They hope this next stage will provide indisputable proof that the technique works “across the board.” The first human head transplant remains scheduled in December of this year; the patient will be a Chinese national.